Although 2017 was one of the five strongest years of vehicle sales in history, forecasts for 2018 show sales could decline up to 5%, so dealers will have to employ smarter marketing strategies to get qualified buyers into the showroom. With the market contracting and consumers spending more time shopping online and less time in the showroom, it’s no longer enough to rely on traditional marketing tactics. Savvy marketers have moved to omnichannel strategies to recognize and reach target consumers regardless of the channel or device, and provide a seamless shopping experience before they get to the showroom. To enable omnichannel marketing, you need the right data to account for, and quickly identify, who you are targeting and interacting with. Most importantly, you need to deliver messaging that resonates based on consumers’ geography, lifestyle, life stage, and likelihood of being in the market for a new vehicle. But what about taking that a step further to identify individual consumers who are ready to purchase a new car, then proactively use that information to predict when other consumers are likely to become in-market prospects and reach them through omnichannel outreach? It’s a rapidly developing area of marketing and data science called multipoint predictive analytics, and it goes far beyond simply utilizing browser and search behavior as the basis for identifying an imminent buyer. This new approach also leverages deterministic consumer-identity information, current-and-past auto purchase histories, and other known consumer lifestyle and life stage attributes. Innovative data insights firms curate and link this data, then combine it with machine learning to create algorithms and signals that indicate a consumer’s propensity to purchase. For dealers, knowing when consumers—including those already in their CRM system—are actively in the market for a new car makes it possible to execute personalized campaigns with exactly the information they need, when they’re most likely to engage. It’s also possible to learn about prospective buyers’ needs for a new car before they even know it themselves. By combining deterministic data with a dealer’s own customer records—and ensuring those CRM records are up to date—subtle cues that would otherwise have been missed come to light. For example, one predictive indicator of needing a new car is adding a child to the household. The dealer CRM system reveals that a previous buyer has a two-door coupe. Consumer-identity data indicates the birth of a baby, so a car with a backseat or a minivan might be more suitable. Another life event that suggests a new-car purchase is moving to a new home. This could mean a change in commuting distance, so a vehicle with higher fuel efficiency or premium comfort features might make sense. In these examples, dealers can use advanced analytical modeling, leverage rich transactional data, and combine positive and negative purchase behaviors to yield a highly predictive score that indicates the shoppers’ likelihood to make a purchase. This is critical given the years-long gaps between auto purchases, and the volume of life and identity changes in those times. Moving from “spray and pray” marketing to a personalized approach—by channel and by messaging—is not only more cost-effective, it’s more successful overall. The Future of Digital Retail study by Cox Automotive indicates that 90% of car buyers want a unique, personalized car-buying journey. According to Forrester Research, 77% of consumers have chosen, recommended, or paid more for a brand that provides personalized service or experiences. It’s likely that your marketing efforts already involve some level of personalization—for example, reaching out to customers on their birthday or retargeting content to prospects based on their activities on your website. But the more specifically you can identify and target audiences based on a combination of make/model/year ownership history, propensity to buy, and other attributes—plus keep your CRM system up-to-date on consumers’ contact info—the more effective your campaigns will be. With access to authoritative, verified, and comprehensive consumer-identity data, you can connect with consumers the moment they think about buying a new car, and accurately target prospects who are up to three times more likely than the average consumer to be in the market for a new vehicle. Create lookalike audiences to target prospects that are more likely to convert. A lookalike audience mirrors the attributes of your best customers. Through post-sale analysis, you can identify the characteristics that define your buyers, such as triggers, demographics, and lifetime value profiles, then apply those attributes as filters to your consumer identity data to find the best matches. Continually update key customer identity and attribute information in your dealership CRM or other management system. Syncing consumer-attribute information with your customer data helps further personalize your approach, enabling you to continuously maintain contact with your customers over time, whether for a trade-in offer, service, or for future sales of an additional vehicle. Identify multiple touch points to maximize the reach and scale of your campaigns to high-propensity consumers. Being able to identify and link a consumer’s multiple email addresses, phone numbers, and other digital touch points helps get you in front of valuable prospects on multiple channels while they’re at the peak of their buying journeys. Today, dealers need every edge to remain competitive and profitable. 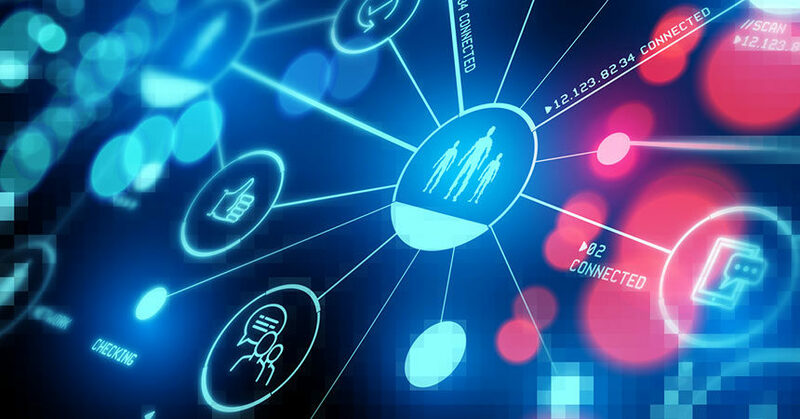 Effective integration of consumer-identity data with dealer data can help you quickly identify high-propensity customers, and provide a decided advantage for maximum reach and minimal media waste. A 25-year veteran of the information services and analytics industry, Dave Dague has significant expertise in cross-channel consumer identification, verification, and marketing solutions. He is currently CMO for consumer-identity management expert Infutor, and has previously served as CMO for Gravy Analytics, Neustar, and TargusInfo, and has served as an adjunct professor of marketing and sales management. Is Your Dealership Focused on Your Mobile Customers?